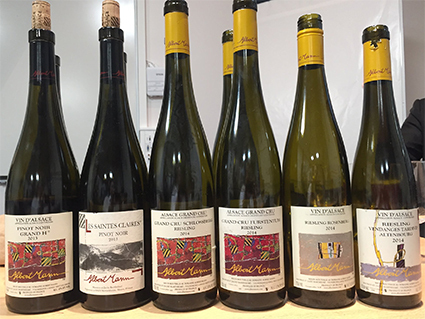 Revelatory Alsace Pinot Noir (the best I have ever tasted, and the equal of Burgundy) and exquisitely precise Rieslings characterise this producer. 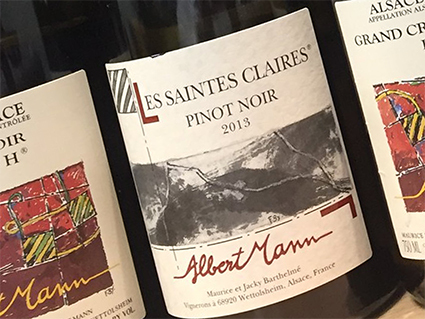 I have known the wines of Domaine Albert Mann for a long time, as they were a staple of the Oddbins range (well, the Oddbins 'Fine Wine' range at any rate). My over-riding memory was that theirs was the best dry Muscat wine I had ever encountered, and it certainly was, and very probably still is - despite my having tried a great many other examples since. 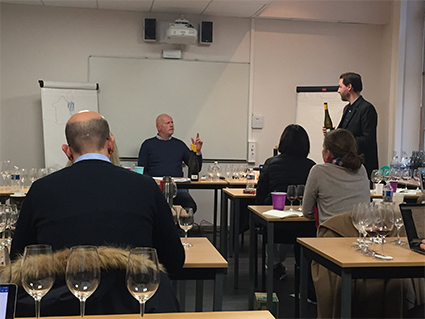 But the real thing, and I suspect that this is a more recent development, or perfection of the situation, is their red wines. 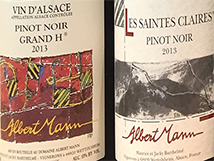 Domaine Albert Mann is one of the most famous estates in Alsace. 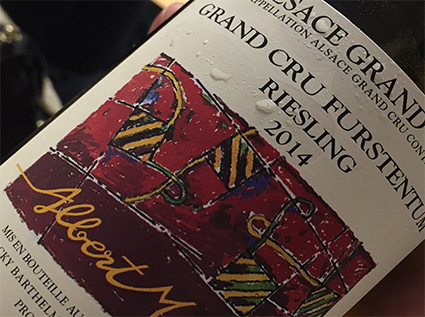 It is also a very historic name - the first vintages were made in the late 17th century. 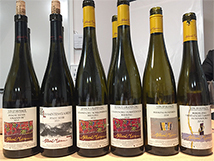 They are based in Wettolsheim, in the Haut-Rhin, just south of Colmar. Managed by the two extremely tall brothers Jacky and Maurice Barthelmé and their wives Marie Thérèse and Marie Claire (the daughter of Albert Mann), they farm 23 hectares of vineyard biodynamically, including five Grand crus (Hengst, Scholssberg, Furstentum, Steingrubler, Pfersigberg) and 1 monopole Clos.